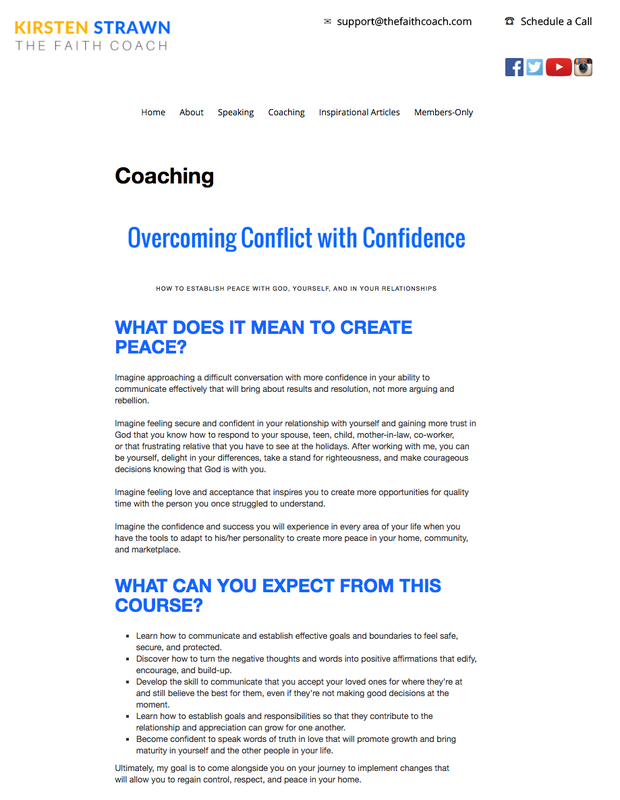 I am so excited to announce the launch of my client's new brand, website and online course platform! 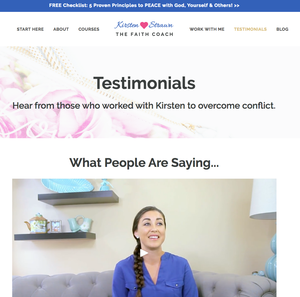 I remember meeting Kirsten Strawn, a Faith-Based Relationship Coach, and immediately knowing that her current brand and website did not do her vibrant, classy, loving nature justice. She knew she wanted to take her online brand to the next level but wasn't sure how to do it. 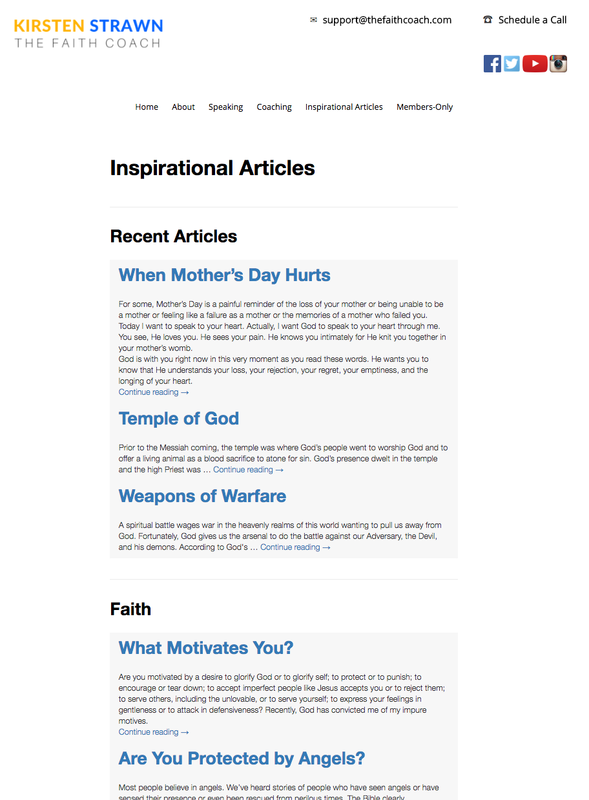 I ended up sharing my observations and my vision for her website and business. Before I show you the "AFTER" pictures, I thought it would help to show a few pictures of what her website and online course looked like BEFORE working with me. In this post, you will get a sneak peak at what we then tackled in a 3 week period. The first phase of this project involved me creating a brand blueprint that would provide a feminine, loving & professional feeling when people landed on her website. Since she works with both men and women, I thought it would be nice to have both blue & pink included in her brand colors. I then created marketing templates for her to use when sending emails, printing handouts and posting on Pinterest, Instagram & Facebook. I then tackled getting her online courses set up on a platform that would provide a much better user-experience for her students. 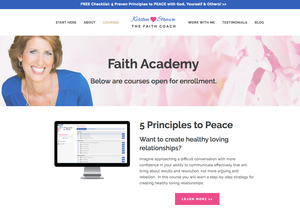 She now has her "Faith Academy" that she can add future courses to in order to help people leave a lasting legacy of love. The final step is getting all of her sales funnels set up to convert COLD, WARM & HOT prospects into customers. 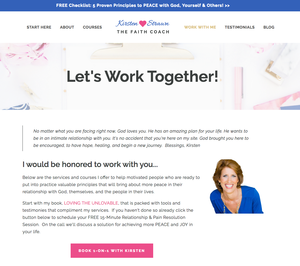 I set up her Cold Lead Funnel by reworking her 5 Principles to Peace Checklist and making sure the Thank You Page highlighted the "Next Step", which is a free 15-minute call in her case. 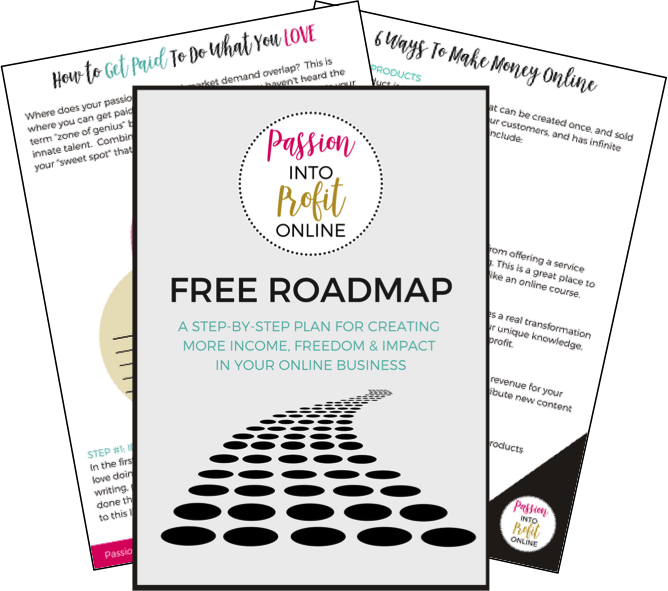 It makes me so happy that she now has an online business she loves, with unlimited earning potential, that she can run from anywhere in the world!